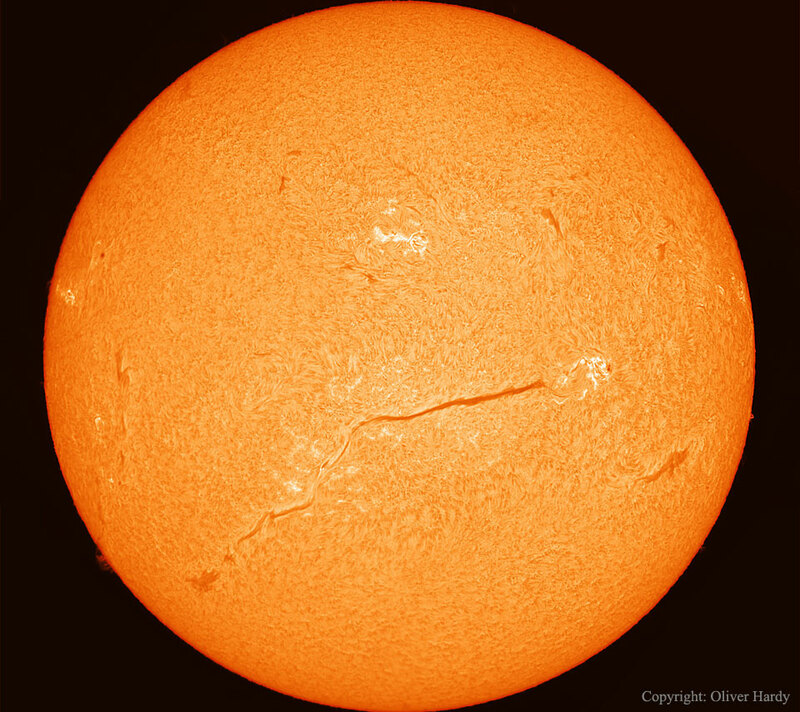 Explanation: Yesterday, the Sun exhibited one of the longest filaments ever recorded. It may still be there today. Visible as the dark streak just below the centre in the featured image, the enormous filament extended across the face of the Sun a distance even longer than the Sun's radius -- over 700,000 kilometres. A filament is actually hot gas held aloft by the Sun's magnetic field, so that viewed from the side it would appear as a raised prominence. 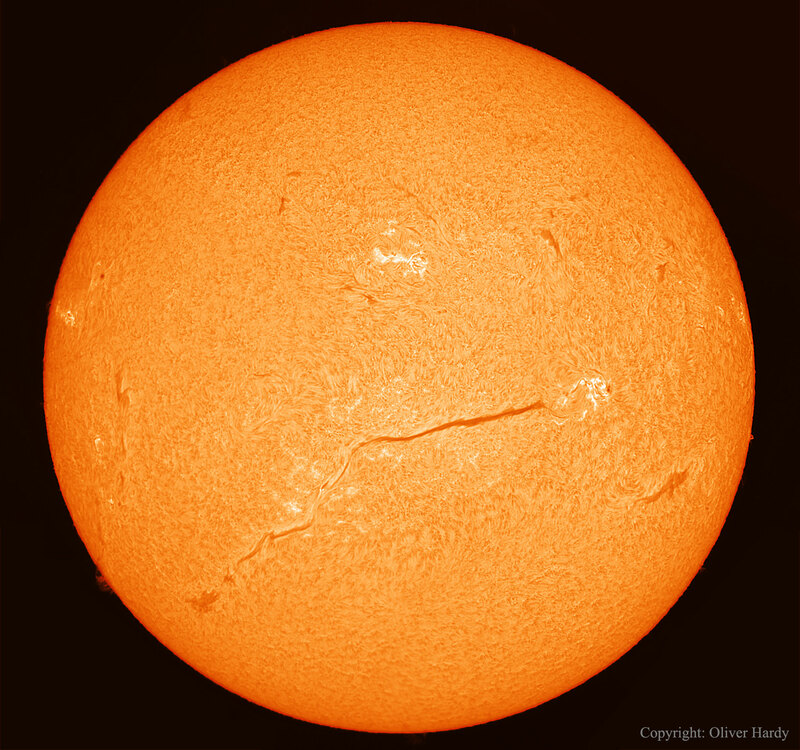 The featured image shows the filament in light emitted by hydrogen and therefore highlights the Sun's chromosphere. Sun-following telescopes including NASA's Solar Dynamics Observatory (SDO) are tracking this unusual feature, with SDO yesterday recording a spiraling magnetic field engulfing it. Since filaments typically last only from hours to days, parts of this one may collapse or erupt at any time, either returning hot plasma back to the Sun or expelling it into the Solar System. Is the filament still there? 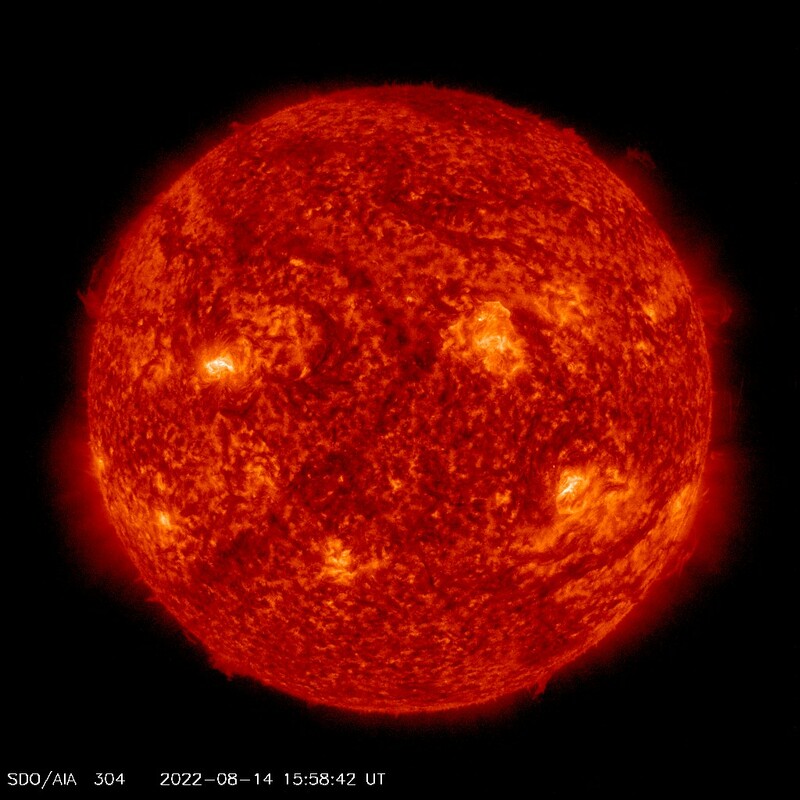 You can check by clicking on SDO's current solar image.